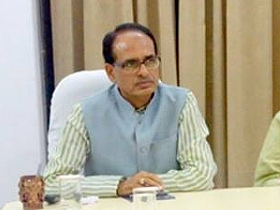 Chief Minister Shivraj Singh Chouhan has said that the state government has launched several public welfare schemes focusing on the welfare of the poor. He said that the poor of the state have been provided financial security and honour through the Sambal Yojana. CM Chouhan was addressing the gathering at the dedication ceremony of the newly-constructed building of the 50-bedded civil hospital at Bareli in Raisen district worth Rs 8 crore 86 lakhs. He also dedicated the 33/11 kV Samnapur power substation worth Rs 90.30 lakhs on the occasion. The Chief Minister performed Bhoomi-pujan of the Dhandhla power substation worth Rs 2 crore besides Pradhan Mantri Gram Sadak Yojana and Awas Grah worth nearly Rs one crore. 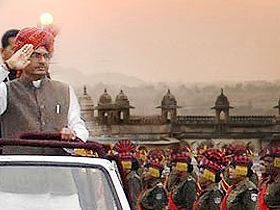 CM Chouhan said that labourers working in all sectors, farmers with less than 5 acres of land and small vendors have been included under the Sambal Yojana. He said that the people eligible under the scheme will be benefitted. He said that arrangement of free treatment of poor people will be arranged through the Ayushman Yojana launched by Prime Minister Shri Narendra Modi and State Illness Assistance Scheme. He said that no meritorious student of the state will remain deprived of higher education for the want of money. The state government will bear the expense of their fees for Medical, IIT, Engineering, IIM and Law College. Referring to the welfare of the farmers, the Chief Minister said that what has been purchased from the farmers in the state at the rate of Rs. 2000 per quintal. Incentive amount has been distributed to the farmers at the rate of Rs. 265 per quintal under the Mukhya Mantri Krishak Samriddhi Yojana. He said that earlier the farmers in the state used to get agricultural loans at 18 per cent interest. Farmers are now being provided agricultural loans at zero per cent interest rate for agricultural work.